In our last post it was pointed out that the Eureka team was about to head off to the factory in China, partly to escape from the extremes of winter weather then being experienced back home. On this point alone the trip succeeded beyond our wildest dreams when we exchanged Sydney's winter conditions for the most extreme summer heat which Nanjing and its environs were suffering at the time of our arrival. In the seven days we spent in Nanjing the day time peak temperature was over 42 degrees C every day. Two days of site-seeing were made extremely difficult by the heat. Fortunately as the accompanying photo shows, the factory was well aware of the problems posed by the heat and deployed a sophisticated array of equipment to improve the working environment of the staff in these extreme heat conditions. Unfortunately, the impact of the deployment of these advanced cooling devices may not have achieved the desired outcomes as whilst we were there the assembly line staff placed a ban on the daily hour of scheduled over-time because of the difficult working conditions. 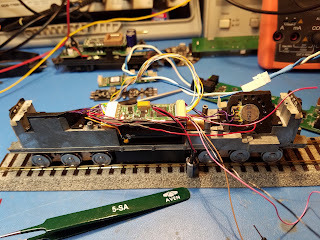 Fortunately though, largely due to the heroic endeavors of the workers on the assembly line the 40 class is now almost complete with only the fitting of the sound decoders remaining to be carried out. The decoders have arrived in China from the manufacturer in Canada and will be fitted and tested this coming week. 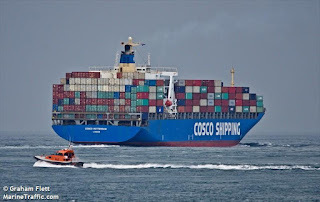 Half of the total shipment will then be air-freighted to Aus with the remaining half following as normal by sea. The Eureka staff took the opportunity to bring back three models from the production line (see accompanying photos). With the Assembly Shop now fully occupied with the 40 class, back in the Paint Shop the focus of activity has switched to the MAL/ACS/AB 12 wheeler project. Almost nightly at the moment contact from the factory is received checking another stage in the decoration of the MAL sleeping cars, the ACS branchline composite cars and the AB dining cars. Present progress suggests a mid August delivery date. 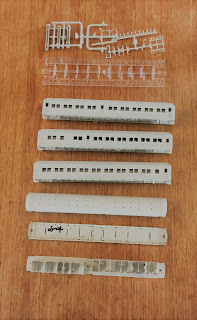 Delivery will include more spare bogies and complete under-frames. 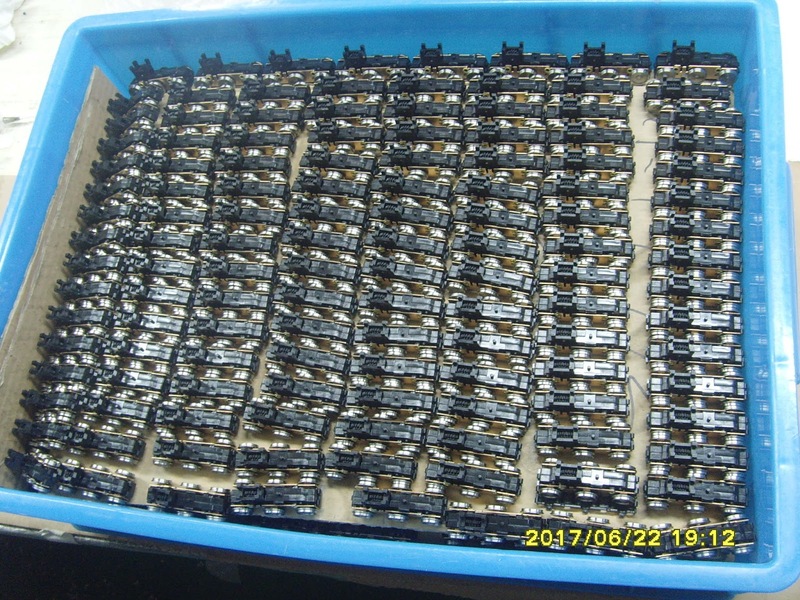 Assembly of the 40 class is proceeding at a fast pace at the factory. 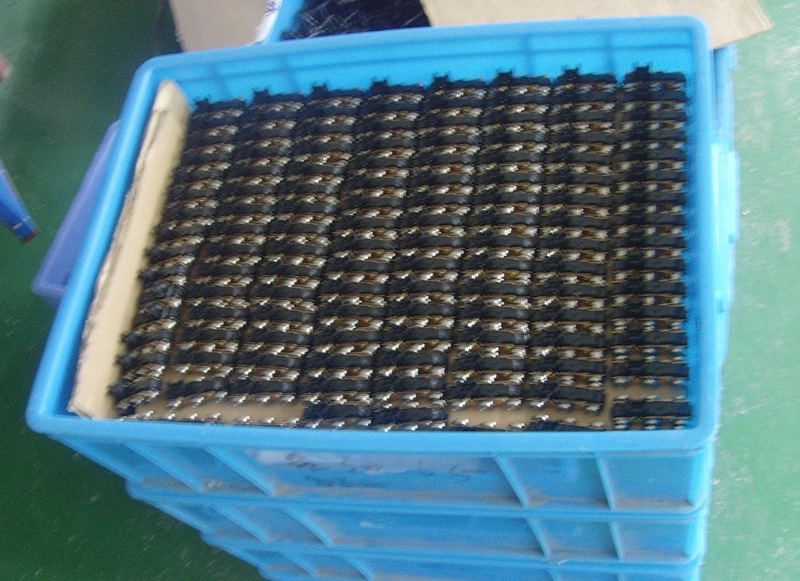 The latest step in the process is the completion of assembly of the gear boxes for the full production run. As part of this assembly process an extensive process of testing of the gear boxes has been carried out. Several chassis have been run for hundreds of hours on the factory's test track with the tick of approval being given to the gear boxes. The accompanying photos show that plastic tubs of the gear boxes have now joined the other 40 class items already stacked up around the assembly area at the factory. With gear boxes now complete the next step in the assembly process, the assembly of chassis's has commenced. Current progress is in line with completion of assembly in mid-July and delivery at Port Botany around mid-August. Progress on the 40 class is going ahead quickly at the factory and is just following the normal assembly process. However, on the other side of the Pacific at QSI work on the sound installation is also well underway. 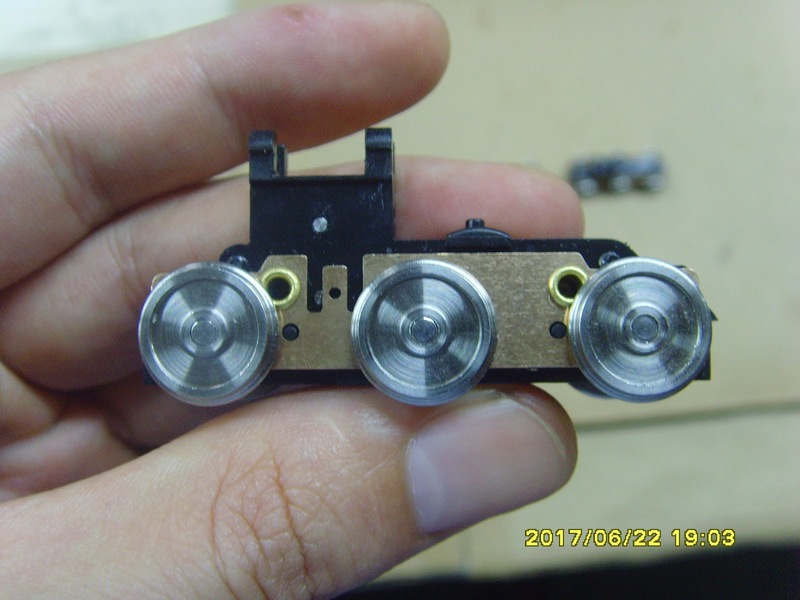 The sound decoders were manufactured in China previously and the first step in the installation process is to check fit the decoder. 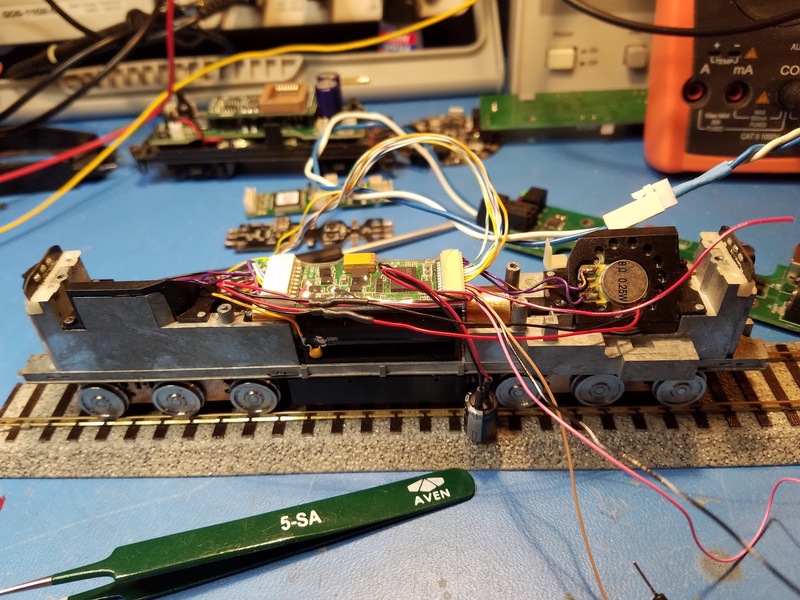 The above photo shows this process with the decoder being trial fitted to a chassis from the current production run. These are identical to those produced by Sanda Kan all those years ago so it was not surprising that the trial fitting did not produce any problems. The next step in the sound process is to burn the sound files into all of the decoders. After this the decoders are fitted to a mounting pcb and then they are forwarded to the factory in China for assembly into the "with sound" 40s. 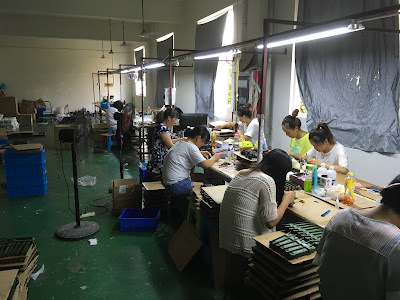 Back at the factory in China injecting is underway and decoration (painting) of the parts is taking place as parts are received from the injection sub-contractors. Injection is expected to be completed by the middle of April after which decoration will be finished and final assembly completed. 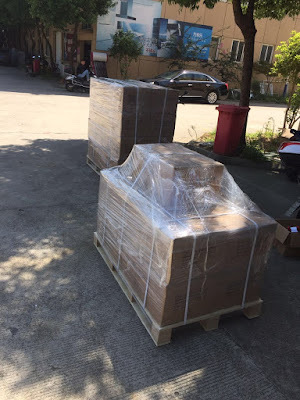 The Eureka office now has several running non-sound samples and is expecting a sound-equipped version from QSI any day which will be most enjoyable. The non-sound running samples at the Eureka offices are superb. They are smooth running and are very quiet. With this quality base the sound versions should also be of a very high performance. Green type 2 body modified to show type 1 body with added ventilation on roof. Type 2 body with vertical louvers on rear engine ventilation in Royal Blue. The above art-work is not final as there are minor corrections to be made including adjustments to the numbering. The above workings were mainly used to get the main body colours right. Squirting is under way and will be finished in April. Decoration is also under way and is expected to be finished in May. Also coming with the production run of the 40 class will be spare wheel sets complete with wheels, axles and gears. (An expanded coverage of the problem of this topic can be found in The Eureka Times 32.) Price is not finalised yet but will be around $25 for six complete wheel sets. A set of injections for the 12 wheelers. Bodies, interiors and underframes for the three cars. 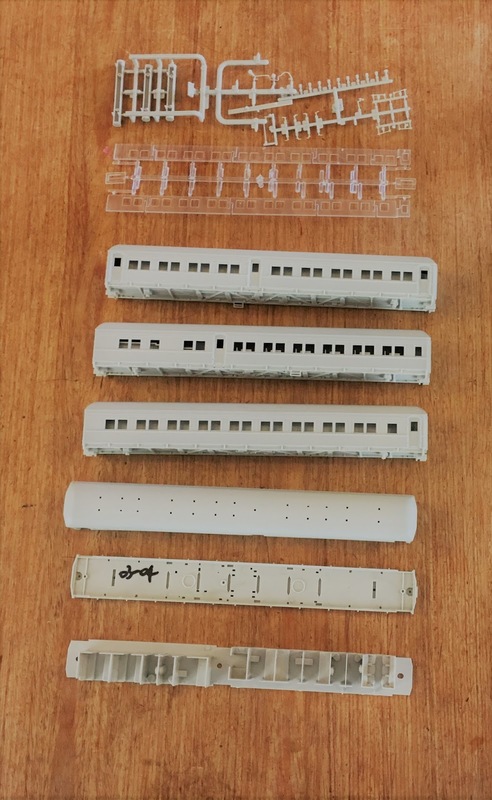 Received from the factory the last week in March is a complete set of injections for the MAL sleeper, ACS Composite car and the AB dining car. 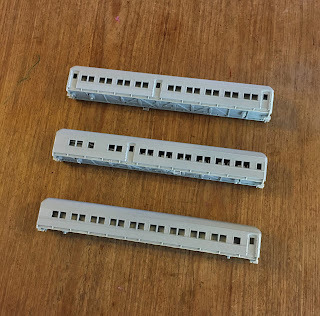 These three cars are the second offering in Eureka's series of 12 wheelers, the first being the NCR sets. The same high quality and accuracy as the NCR sets, these samples have gained the tick of approval of all who have seen them. 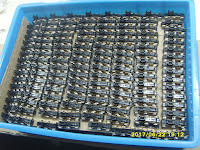 The factory has been advised accordingly and the likely program for these cars involves squirting in April, decoration (painting) in May and delivery in June. 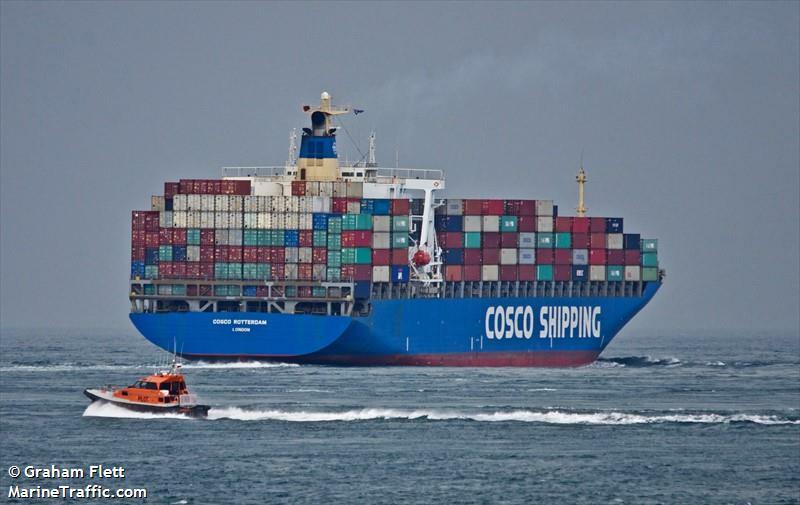 Given that the previous planned delivery date was September, in time for the October Exhibition, a June delivery date would represent a considerable advance in delivery time for the project. It also augers well for the rest of the Eureka program as the factory works its way at speed through our outstanding and new projects. 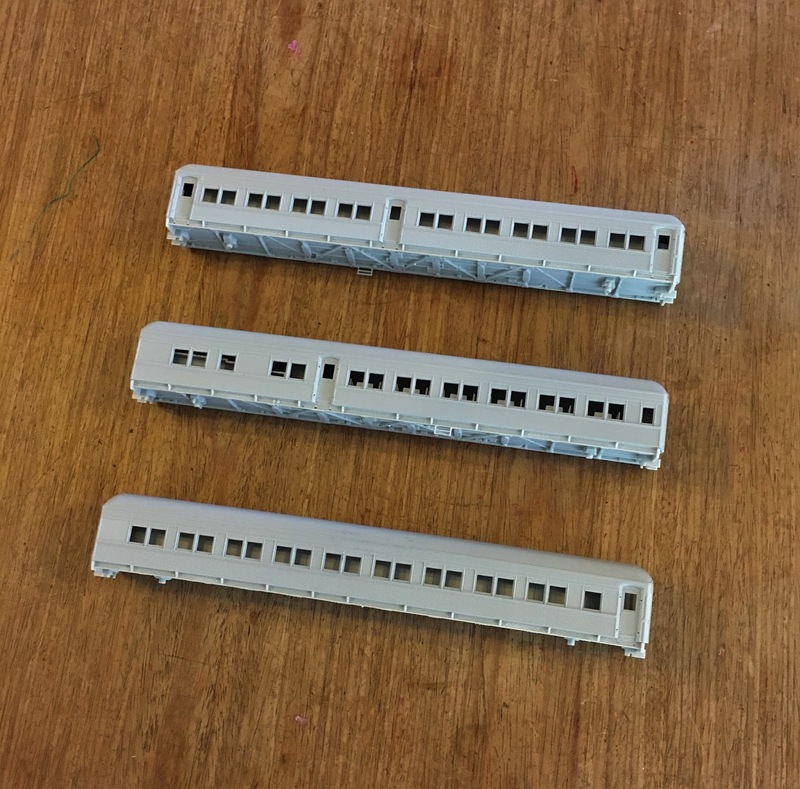 Due to a number of requests, coming with the three cars will be a number of complete under-frames including KD couplers and wheel sets. Price is $40 per under-frame. Numbers will be limited and pre-orders are advisable. Also coming will be more wheel-sets as with the NCR sets. These went very quickly and so again, pre-orders are advisable. Price is $25 per wheel-set. For an order form for any of the 12 wheelers contact the Eureka office. Pre-order price is currently $125 per car. This will increase to $155 per car after 30 May, 2017.